This is one occasion where I can use the word RARE freely! This 1960’s-70’s (we are not certain) vintage LONGINES RAILROAD watch is an example I’ve never owned prior to discovering this piece. I’ve been seeking out watches for 30+ years and never found another as this. The entire watch is original and essentially pristine, including the 35mm. steel screw-back LONGINES case and oversized winding crown. This ORIGINAL crisp white dial with large black Arabic numerals, red 24 hour scale and elongated minute markers is truly flawless. 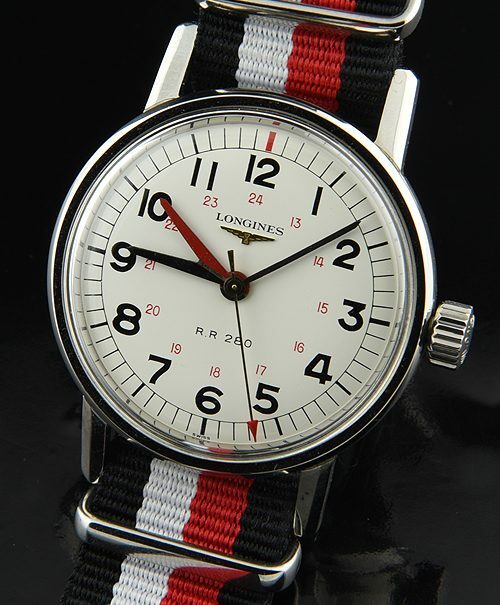 I love the red arrow tipped pointer seconds and red (one hour later) railroad hour hands along with the black regular hour and minute hands which again have their own “custom” shape produced by Longines. The special Longines RAILROAD caliber 280 is the ONLY movement I’ve ever seen of its kind-produced by LONGINES, just cleaned, sparkling and accurate. 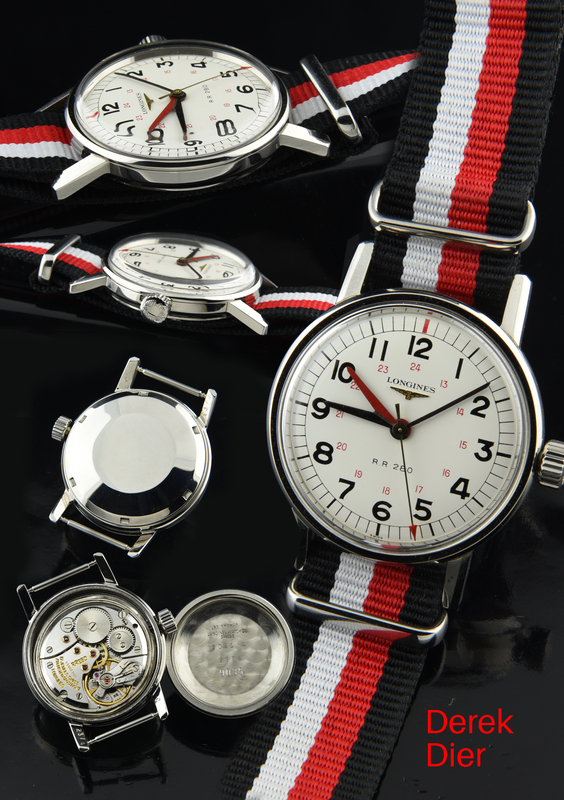 This is a true collector’s LONGINES that you may not find again. When Longines was contacted, they say they don’t have record of the case back numbers in their records. We purchased this watch from the family of the owner, and we believe this watch is fully correct.